The ever increasing healthcare expenditure, the increasing prevalence of chronic diseases and failure of effectively managing them. The huge burden of adverse side effects and mortality due to the toxicity of prescription drugs and the growing resistance to antibiotics can only be remedied by shifting our focus from our attempts to defeat disease to the promotion of health and prevention. In this context health is not seen as what is ‘left over’ when a person is free of all disease symptoms and obviously predisposing factors to disease, but rather the successful dealing which disturbances to homeostasis. That also means that the current focus of medical research on studying diseases and the consequent effect of therapeutic methods upon them should shift to the study of health promotion, salutogenesis and resilience. Complementary and Alternative Medicine with its fundamentally supportive nature and its potential to humanise modern medicine and widen its vision beyond disease to health and wellbeing, has a substantial role to play when it comes to restoring the patients’ own natural systems for fighting disease and maintaining health with the aid of natural medicines, modification of lifestyle, dietary change and health psychology approaches. CAM is also empowering because it encourages people to use and to recognise their own self-healing abilities and to develop more active approaches to life beyond the classic active/passive relationship of the biomedical encounter. In accordance with the potential of CAM to respond effectively to the ever-increasing prevalence of chronic disease as well as its widespread demand for CAM among European citizens, research funding in this area by the European Union should have a high priority. Research in CAM should not just investigate the efficacy of a complementary set of instruments in the medical bag. 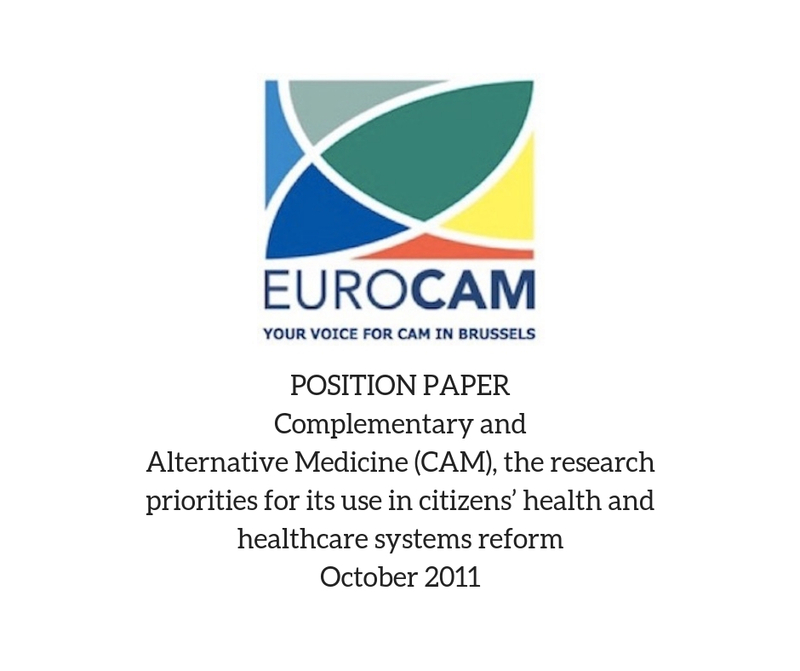 Research on the role of CAM in wellness and health promotion, the application of CAM principles and practices, the mechanisms of action of individual CAM therapies, including patterns of response to treatment, and the role of CAM health professionals in the management of chronic disease should be expanded. New and innovative CAM research is necessary on core questions posed by frontier areas of scientific study associated with CAM that might expand our understanding of health, illness/disease, healing and mechanisms facilitating self-healing.